The California Advanced Homes Program (CAHP) offers a bonus for homes enrolled in the Department of Energy (DOE) Zero Energy Ready Homes program. This program recognizes builders for leadership in increasing energy efficiency, improving indoor air quality, and making homes zero energy ready. 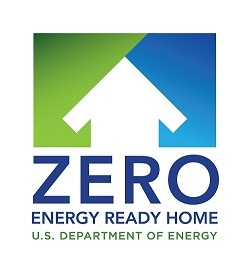 DOE Zero Energy Ready Homes are verified by a qualified third-party and are at least 40 to 50 percent more energy efficient than a typical new home. To qualify for the DEO Zero Energy Ready Home program, homes must meet minimum requirements, be verified and field tested in accordance with HERS Standards by an approved verifier, and meet all applicable codes. Builders may meet the requirements of either the Performance Path or the Prescriptive Path to qualify a home. To learn more about the program benefits and requirements for California, click here.